Everyone agrees that Dwight Howard makes the Los Angeles Lakers much better than they were last year, but there are varying opinions on whether or not he actually puts them over the top. Super teams generally require more than one year to come together, and Howard’s absence at the start of the season won’t make that process go along any smoother. Factor in Kobe Bryant and Steve Nash needing to learn to mesh their playing styles, Mike Brown’s new offensive plans, and always-present threat of injury – and you can sort of begin to see why some folks have doubts. Plus, it’s worth noting, the Miami Heat, Boston Celtics, and Los Angeles Clippers all improved their depth this summer. Sure, they didn’t make Lakers-type improvements, but they definitely upgraded their rosters to some degree. Then there&apos;s last year’s Western Conference champs, the Oklahoma City Thunder, who are still as young and athletic as ever – just more experienced. And that&apos;s to say nothing of teams like the Brooklyn Nets, Indiana Pacers, Memphis Grizzlies and Denver Nuggets who might make things interesting this year, too. So according to Bovada, L.A. has a better shot at winning the championship than anyone besides Miami. It makes sense, of course – on paper this squad is loaded. And it’s not as if super teams haven’t won in their first year before, it’s just rare. The one team that did do it, the Celtics back in 2008, did it after an absolutely dominant regular season run. With Howard out at the start of the year, it remains to be seen whether or not the Lakers can replicate that sort of campaign. And if they can’t, the question becomes: can this squad win the West if OKC has homecourt advantage in the playoffs? It would be tough. Really, really tough. Stay tuned, this is going to be a very interesting year. NBA Rumors: Lakers, Clippers Discussing a Dwight Howard for Blake Griffin Trade? 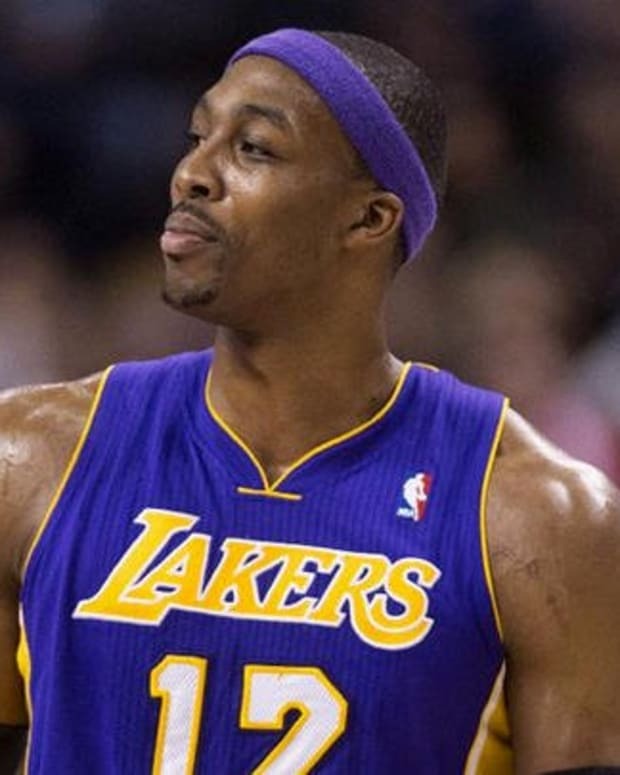 NBA Rumors: Lakers Considering Trading Dwight Howard? 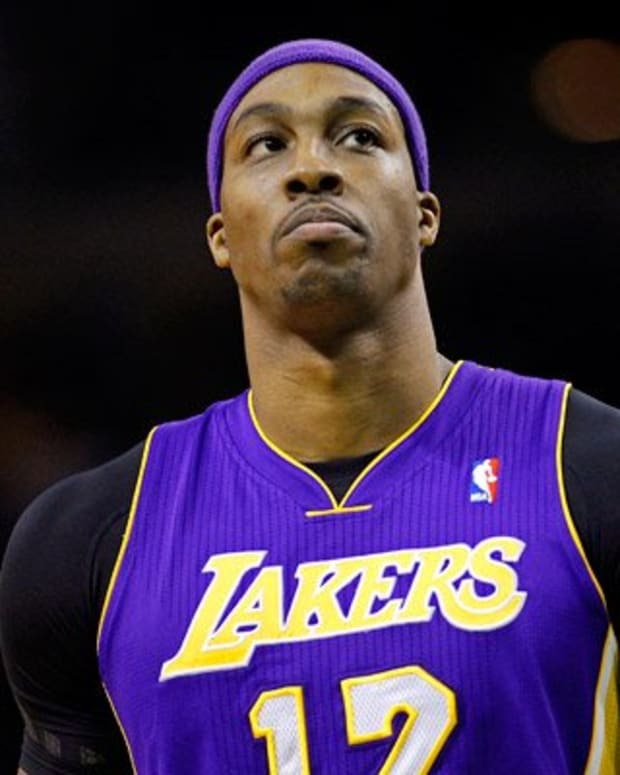 NBA Rumors: Lakers Considering Trading Dwight Howard to Clippers for Blake Griffin, Eric Bledsoe?